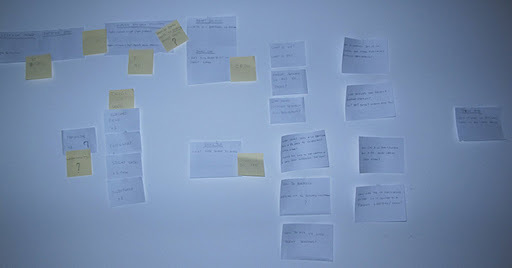 I am organising a fishbowl discussion session at the UX Cambridge conference. Because I have never done anything of the sort before I’ve requested the help of Ryan Haney who will co-facilitate the session with me. I’ve also got the support of Michele Ide-Smith who threw some very good ideas and shared resources to inspire in setting up topics for discussion. A fishbowl discussion is a very dynamic type of discussion where people seat close together in a rather informal fashion to discuss about a certain topic. The plan is to have a ‘open fishbowl’ discussion. There are going to be 2 facilitators (myself and Ryan) in an inner circle of chairs, where 1 or 2 chairs will be permanently available. People in the inner circle will discuss the topics proposed and the people whilst people in the outer circle take notes. When someone from the outer circle wishes to participate in the discussion, they occupy one of the available chairs. When that happens, someone else should volunteer to leave the inner circle and go to the outer circle. I am trying to get people to share thoughts on the subject of UX and Product Management under the hashtag #UXandPM. And because organising this session has been somewhat stressful, I spent some time cooking healthy food this weekend. It always helps me relax. 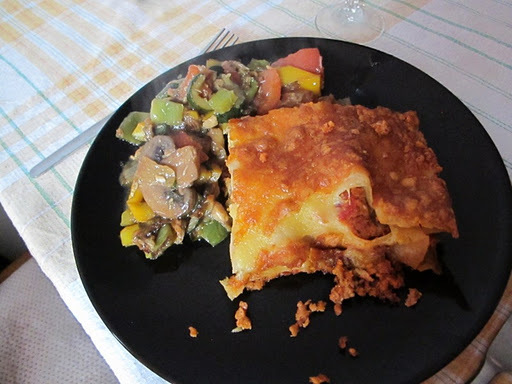 I tried two dishes I had never cooked before: soya lasagna and ratatouille.